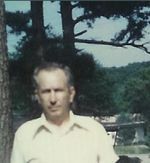 Delmer R. Litton age 91, of Ashland died Wednesday June 4, 2008 at Samaritan Regional Health System. He was born in Oneida, TN., on June 9, 1916, the son of Sherman and Lilly (Smith) Litton. Mr. Litton lived most all of his life in Ashland County. He retired from U- Brand after over 35 years of service. He enjoyed traveling and dancing. In 1944 He married Virginia Louise (Harper) Litton who preceded him in death in 1986. Survivors include his daughter and son in-law June and Lawrence Dingus of Ashland, 5 grandchildren, 10 great- grandchildren, and 2 great- great- grandchildren. Also surviving are his two sisters Lula Baxter of TX., and Charlotte Litton of FL. He was preceded in death by his parents, wife, son Ol Litton, and brother Dillard Litton. Services will be held at 11:00 a.m. on Friday June 6, 2008 at the Heyl Funeral Home with Pastor David Kerner officiating. Burial will follow at Ashland County Memorial Park. Friends may visit with the family one hour prior to the service at the funeral home. Memorial contributions made be made to the funeral home in Delmer's name to defray funeral costs.